Liftoff is planned during a two-hour window opening at 5:33 UTC, 12:33 a.m. local time to send the Hispasat 30W-6 communications satellite on its way into a Geostationary Transfer Orbit. 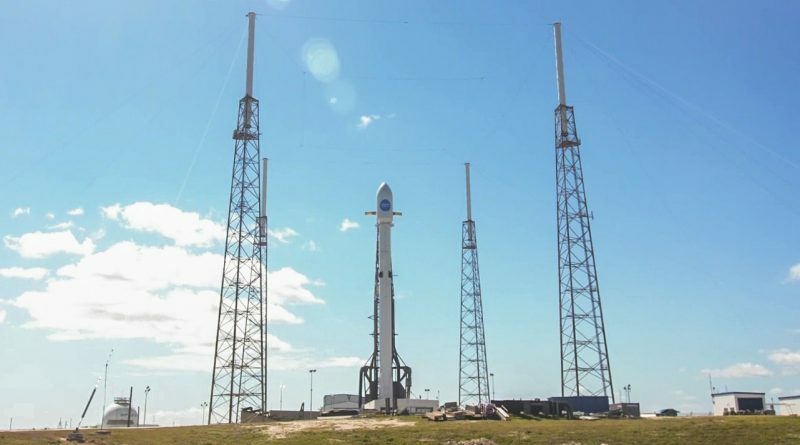 Tuesday morning’s mission will be the 50th launch of a Falcon 9 rocket, reaching this milestone less than eight years after its debut flight in June 2010. But the vehicle flying on Tuesday will be a very different animal than the Falcon 9 v1.0 used in 2010, marking the 30th flight of the Falcon 9 Full Thrust variant and the fifth SpaceX mission of the year as the company continues through a busy launch manifest lined up for 2018. A desire to keep up its launch cadence may have been a factor for SpaceX to opt for a change from a planned booster recovery mission to an expendable flight since the mission already suffered a delay of over one week from its original February 25 target. 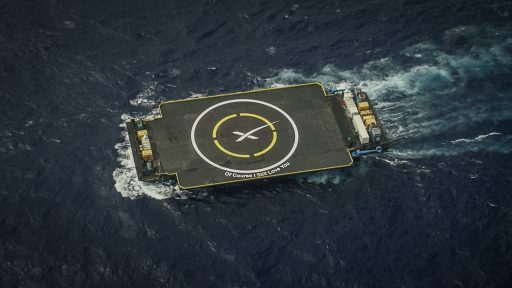 Additionally, the mission would have been by far the heaviest Falcon 9 Geotransfer delivery to feature a Drone Ship landing attempt – creating only marginal odds of success. Falcon 9 is carrying a payload of 6,092 Kilograms whereas the current record load for an ASDS recovery mission stands at 5,300 Kilograms. The task of lifting Hispasat 30W-6 to orbit falls to Falcon 9 Booster 1044, a factory new Block 4 booster, and a Block 4 second stage – though there has been speculation that the vehicle may fly with increased performance given the plans for landing the booster despite the high payload mass. It had been suspected that this mission would by nature be an expendable flight since Falcon 9 Block 4 lacks the performance required for delivering a 6.1-metric-ton satellite into a standard Geostationary Transfer Orbit while reserving the propellant needed for a first stage landing. But to some surprise, Falcon 9 was sporting landing legs and four of the new titanium grid fins when rolling out for its nighttime static fire test back on February 20 – providing a clear indication that a recovery was planned. With launch set for February 25, the ‘Of Course I Still Love You’ Drone Ship departed Port Canaveral on the 21st to head to a position 635 Kilometers downrange to catch the Falcon 9 first stage. 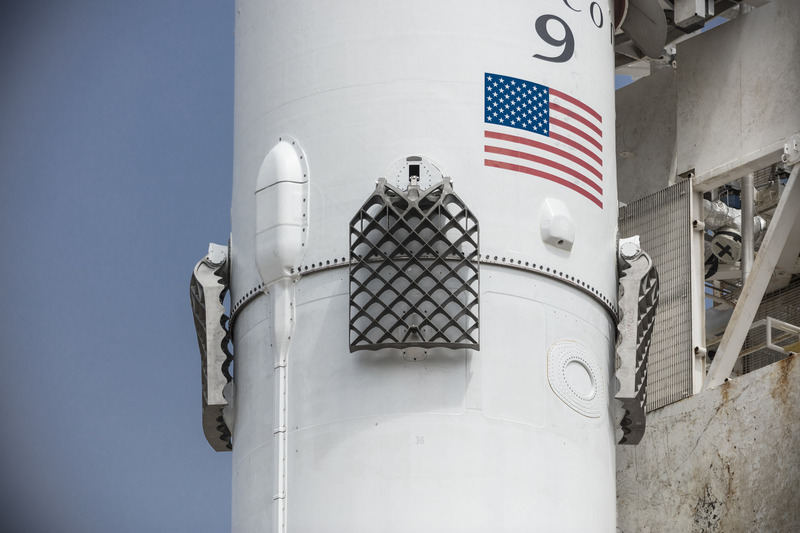 Late on February 23, SpaceX announced the mission had to be delayed to conduct additional testing on the payload fairing’s pressurization system – likely related to the new ‘Fairing 2.0’ that debuted on the recent PAZ mission. 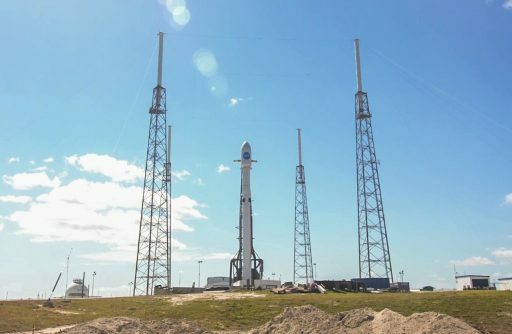 SpaceX requested a launch window in the early hours of Thursday, March 1st, just 16.5 hours before the planned launch of an Atlas V rocket from the neighboring Space Launch Complex 41 some 2.5 Kilometers from SLC-40. While technically possible from a Range Safety standpoint, the dual-launch day did not materialize due to concerns voiced by the NASA/ULA side related to having the Atlas V with the $500-million GOES-S satellite sitting exposed on the SLC-41 launch pad, potentially vulnerable to plumes and lifted debris from the Falcon 9 launch. Priority was given to the Atlas V rocket that had reserved the March 1 slot months in advance and SpaceX stood down while waiting for a new date from the range. By mid-day on March 1st, the recovery fleet around OCISLY had returned to Port Canaveral. 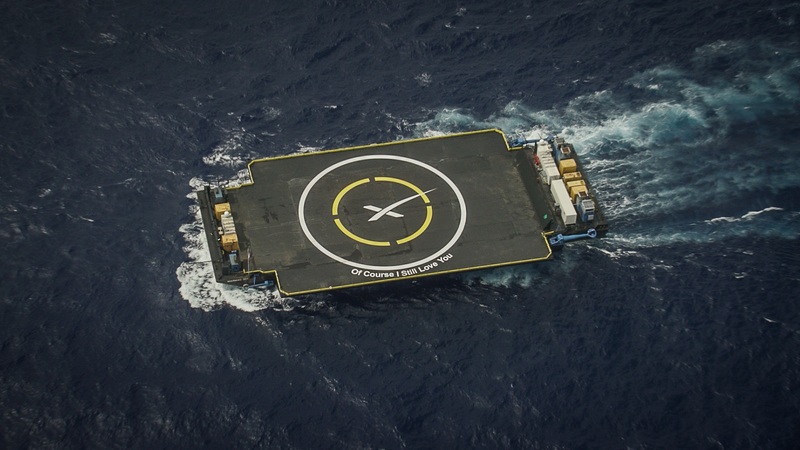 As launch was re-set for the early hours on Tuesday, SpaceX faced a new problem – very rough seas in the booster recovery zone due to a large and very powerful Atlantic low. 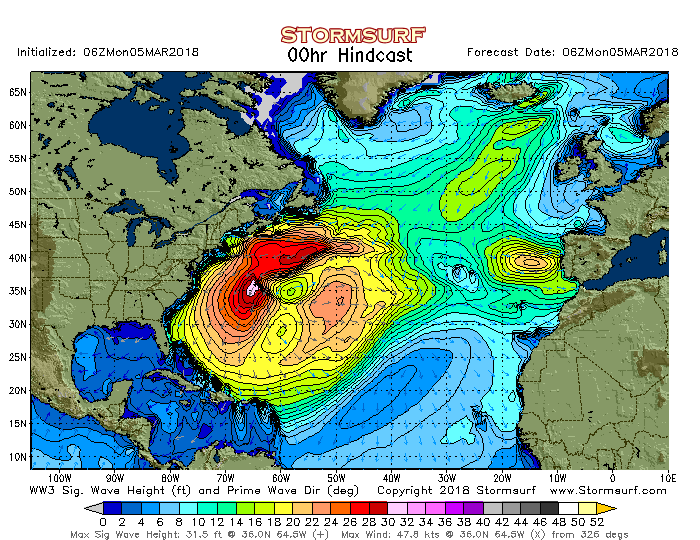 Sea swells of over six meters were detected by buoys off the Florida cost on Sunday and the entire east coast of the state was placed under a warning for rip currents and high surf on Monday. As a result, the Drone Ship was kept safe at Port Canaveral and SpaceX decided to take the shot on Tuesday in an expendable configuration since launch weather will deteriorate on Wednesday. Forecasters from the 45th Weather Squadron have issued a 90% chance of cooperative weather for Tuesday’s launch window as winds associated with the Atlantic low subside throughout the day on Monday. The only slight concerns are thick clouds shifting into the area from a cold front pushing into the Gulf Coast. This front will cause weather to worsen for Wednesday’s backup window with forecasters calling for a 60% probability of violation due to thick cloud cover. Hispasat 30W-6, built by California-based Space Systems Loral, is a multi-mission satellite operated by Spain’s Hispasat to deliver commercial video, data backhaul and broadband services to the Americas and Europe from a strategically important position at 30°W from where both continents can be served. 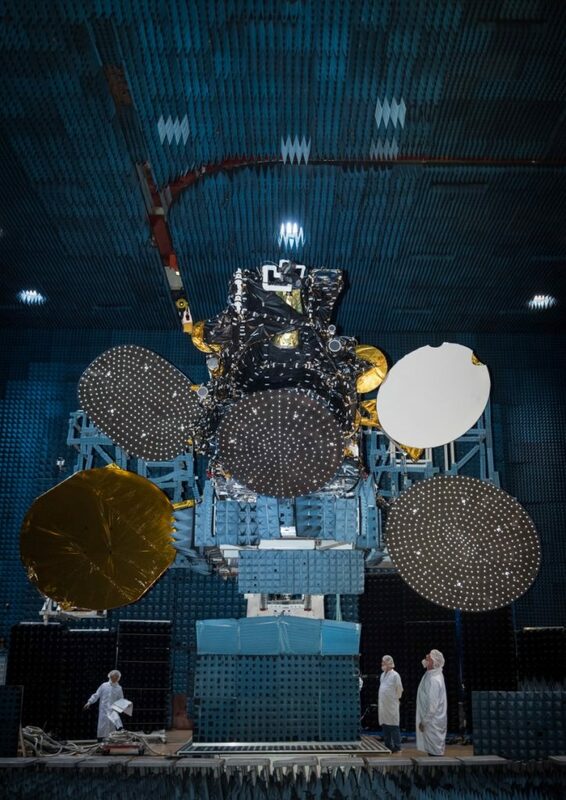 The satellite is replacing a pair of Hispasat satellites launched in 2000 and 2002 and its modern-day communications package allows the satellite to provide expansion coverage for Hispasat services. The satellite is outfitted with 40 Ku-Band transponders delivering capacity to two large service areas in Europe and the Americas, also geared toward expanding Hispasat’s transatlantic capacity; six Ka-Band beams provide high-throughput services to the Iberian Peninsula, North Africa and Central Europe; a Ka-Band broadcasting beam is focused on Spain and Portugal; and ten C-Band transponders provide coverage over the United States, the Caribbean Sea and South America. Hispasat 30W-6 will add Ku-Band coverage for the Andean Region and the C-Band capacity with American coverage and European Ka-Band beams will enable Hispasat to expand its flexible broadband coverage for data backhaul and corporate networks.